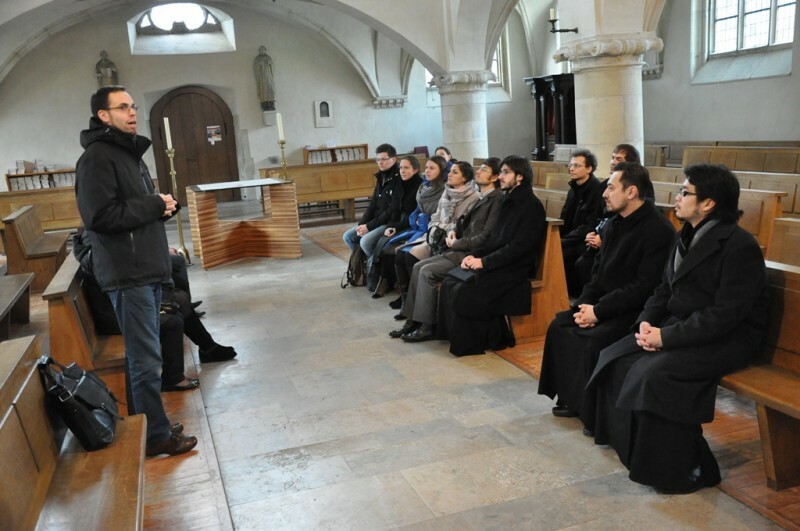 On December 9, 2013, a youth delegation of the Russian Orthodox Church arrived in Munster within the project “Youth Theological School” implemented with the support of the Department for External Church Relations as part of the Petersburg Dialogue forum. The participants in the school met with the dean of the Catholic Faculty of the Wilhelm II University of Westphalia, Prof. Reinhard Feiter. The university is the largest higher education school in northern Germany. It numbers over 50 thousand students, with 3 thousand attending the Faculty of Catholic Theology. Among the students are future teachers of religion in German schools and Catholic, Orthodox and Protestant theologians and priests. Prof. Feiter welcomed the participants in the project, stressing that the visit of a youth delegation of the Russian Orthodox Church was a significant event in the life of the faculty. After brief remarks about the faculty of theology, the dean shared his vision of the role of theology in today’s German education system. During their second day in Munster, December 10, the delegation attended an open lecture by Prof. Clauss Peter Sajak who spoke on the issues of didactics and age psychology in teaching religion in school. Prof. Sajak made an analysis of the basic didactic approaches and the theory of moral and religious development as presented in works of today’s psychologists and philosophers.